It’s Monday and we’re going to talk about five blogs we love. We think you’ll like them too. Jon and Sherry Petersik started out blogging about the rennovations of their first home several years back. They did it with such style and purpose that three houses and two children later, Young House Love is their full time occupation. They’ve published two books and developed their own line of hardware sold exclusively at Target. About a year ago they took a break from the blog, but it appears they might be making a slow return. We hope they do. What’s not lot love? Richmond is becoming a great town for craft beers. Richmond Brewmeister share reviews of the latest offerings and keeps you up to date on the latest beer happenings around town. Susan Whetzel is a wife and mom living in and blogging from a small town in Southwest Virginia. But that doesn’t keep her from traveling and blogging about great food and ideas. She’s published three cookbooks including one exclusively about S’mores. Tom Vander Well writes about life, faith, and theater, among other things. Daily he takes a passage of Scripture and expounds on it with profound insight. He also talks about his wife, his daughters and his home on the lake. Have a favorite blog? Leave a link in the comments. We’ll check it out. Well, you can, but they wouldn’t be quite a funny. Apparently the explantion regarding the creation of this day is lost and, thus far, no amount of internet navigation has produced an explanation. Besides, it’s particularly hard to be lost without a compass these days, unless you really are lost and are without cell phone coverage. Maybe it’s a good weekend to finally go see The Martian if it’s still in your local theaters. 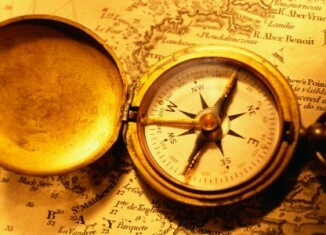 We’re guessing you need neither a compass or a GPS to navigate your way to the weekend. The leaves are turning, and falling, and there’s a notable chill in the air. 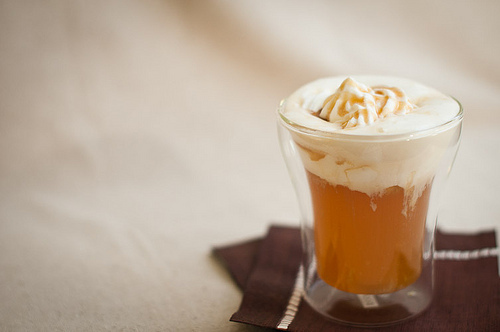 What better time to warm up inside with some hot apple cider. Here are five great recipes we found around the Web. Wellness Mama offers this great recipe for the slow cooker. She recommends making it before you turn in for the night so that it’s hot and ready in the morning. Taste of Home offers a bit of a twist by adding caramel syrup. Serve it up with a plate of holiday cookies. Martha Stewart adds allspice berries, cinnamon, and orange zest to make this warming drink. These are just a few of the hundreds of apple cider recipes out there. Check them out or try your own. EDITOR’S NOTE: This post was originally published at The Write Side of My Brain in November 2011. After the parades, after the tryptophan has kicked in, after you’re tired of football…and if you don’t want to spend a fortune seeing one of many choices of great Thanksgiving movies (see family friend movies here), then here’s our list of classic Thanksgiving movies/videos that are a must watch every season. isn’t bad, but we prefer the original. A Charlie Brown Thanksgiving Deluxe Edition . What’s not to love about the idea of sharing a Thanksgiving feast with Charlie Brown, Snoopy and the gang. When Peppermint Patti invites herself over for dinner, Charlie Brown does his best but it’s not the expected. Planes, Trains and Automobiles . Steve Martin and John Candy team up in this hilarious movie where the goal is just to get home for the holiday, by whatever means possible. The WKRP Turkey Drop. One of televisions classic episodes. The bumbling sales staff at WKRP radio station flies into disaster when they decide that dropping live turkeys from a helicopter would be a good idea. In the classic ending line, station manager Arthur “Big Guy” Carlson declares “As God is my witness, I thought turkeys could fly.” See the whole episode on Hulu. It’s November. A new month. And, if you’re paying attention, a new return to this blog. 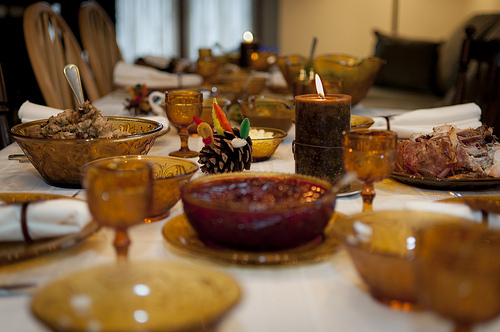 November is the month when Americans celebrate Thanksgiving. It’s become a day of parades, football, and overeating and hopefully being thankful. It’s generally followed by a day of spending money we don’t have on things we don’t need. There are many Thanksgiving traditions. And there are many stories of how Thanksgiving came to be. Yesterday, at Berkeley Plantation in Virginia, the real first American Thanksgiving was commemorated. Read about it here. And read a little more about Thanksgiving history here. Yet, if one is to be really thankful, there’s no reason to quibble about the first celebration. Take the challenge this month to consider the things for which you’re thankful. Take the challenge to eat less, watch a little less football, and spend a little less the day after. America is a nation of abundance. Take some time to be thankful for that.